Since 1997 we have been providing guests with great cycling holidays in the UK and around Europe. Being a family business, we are large enough to cope but small enough to care. When you contact us, you will be speaking directly with one of the company’s owners who each has expert knowledge of all our tours. We are able to be flexible when regarding our tours, and can often offer tailor-made schedules for guests where it is logistically possible. We have over 160 cycle tours which offer superb value for money. Where possible we always try a seek accommodation for our tours in family run hotels and guest houses where the owners care about your vacation and often will show great interest in your day’s activities. We offer tours suitable for families, couples, easy leisurely vacations, challenging tours for enthusiasts, cultural tours and scenic tours, indeed we have tours for all interests and abilities. Take a look through our great range of tours, get booked up and join the Hooked On family! Trying to decide if you would like a moving on holiday or a fixed location holiday? Then look no further, below you will find descriptions of each of our cycling holiday categories to find which one is right for you. If you would like information on our cycling holiday grading and which level would be right for you then please check out our Holiday Grading page. A moving on tour enables you to see the most of a particular region, each day you will cycle to another beautiful village passing some of the regions most stunning scenery to a good local welcome at your booked accommodation. We have moving on tours in most regions of Scotland, France, Spain, Italy, Slovenia, Belgium, Romania, Austria, Portugal, Greece, England and Wales to name but a few. The tours are graded from 1 to 4+ and by the levels of support we provide to each tour. Many of our tours can be customised. Please contact us for more information. These are fixed based holidays at a specially selected hotel which cater for cyclists of all abilities. Some resorts offer various guided rides per day. Cycle Resorts are not only ideal for the beginner or keen cyclist, but also for non-cycling partners of families as Mum or Dad can go off cycling while there is still plenty to do for the non-cyclist during the day. Each location varies but most have high energy food, guided rides of various distances, laundry facilities, Gym, Sauna’s, swimming pool, coaching, massage and much more. Tours can generally be started any day of the week giving you the greatest flexibility, luggage transfer are always included. You follow our routes and maps at your leisure to your next booked accommodation. Group tours start on pre-defined dates and include luggage transfer in the basic holiday cost. There are two types of group tours, on our basic group tour the guide usually is in a van and provides local support for you. Our guided group tours have a cycling guide showing you the way to cycle. We use accommodation primarily in Local Tourist Board graded hotels, guest houses and country inns on a bed and breakfast basis. 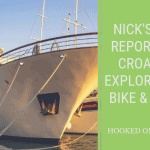 If accommodations are not members of their Local Tourist Board then accommodation grading is judged and classified by Hooked on Cycling and Walking and is based on our experience and on classification in different countries. Our judgement is final and may differ from the official accommodation grade of respective countries. All are chosen for their accessibility to the route and warmth of welcome. We try and find accommodation which is interesting and we are sure all our providers of accommodation will show an active interest in your tour progress. Indeed we consider our providers to be our partners rather than just accommodation providers. All our prices are based on two persons sharing a twin/double room. However, single persons are most welcome but incur a supplement. We try and provide en-suite rooms where possible but on occasions, this may not be possible on some tours. If you insist on an en-suite room then please provide this request during the booking process. On some tours we have the option to book half board, it is likely that the menu will be restricted between 1 to 3 choices. All our cycling vacations include luggage transfers as standard. Your tour instructions vary from tour to tour, but we are proud of the comprehensive detail you will find. On some of our cycling tours, you will receive full details before your departure. While on some cycling tours, tour material is available locally. When you book your cycling holiday around 3-4 weeks before your departure date we email to you your tour package. On most tours, this includes our regional tour guidebook, arrival details to your first hotel, some tourist information and route book and map. We welcome family groups and are happy to suggest suitable tours to you by email or by phone. However, we feel that you know your children’s capabilities either as an individual cyclist or on a trailer/child seat or tandem, and only you as a parent should choose what is suitable. Child discounts vary on each tour so please ask for a quotation. Some of our tours are ideally suited to young families and some for older families, please ask if you would like to guidance. A pick up from local airports, train stations, ferry terminals are available on some tours, please see our individual tour descriptions. On booking please contact us with your expected arrival date, numbers in party and number and type of cycles if not hiring a bike from us. We operate a fleet of quality 24 speed hybrid bikes, tandems and race bikes (Kiddy back Tandems are also available) on our Scottish and English tours. We believe our bikes are the best rental bikes available in the UK. On our other European tours, rental cycles do vary from 21 speed hybrids to 27 speed super light racing cycle, full details of types of cycles are available on request. Our hire cycles usually include a day bag either pannier bags or saddle bag which varies from tour to tour, tool kit, spare inner tube, lock, pump (some of our tours have a bike exchange system so on these tours toolkits etc will not be supplied). On holiday your rental bike is your responsibility. Please look after the bikes as any damage may be chargeable. Hooked on Cycling and Walking Partnership is a company committed to customer satisfaction and consumer financial protection. We are therefore pleased to announce that, at no extra cost to you, and in accordance with ”The Package Travel, Package Tours Regulations” all passengers booking with Hooked on Cycling and Walking Partnership are fully insured for the initial deposit, and subsequently the balance of monies paid as detailed in your booking confirmation form. The policy will also include repatriation if required, arising from the cancellation or curtailment of your travel arrangements due to the insolvency of Hooked on Cycling and Walking Partnership. This insurance has been arranged by Towergate Chapman Stevens through Zurich Insurance PLC. We are a Member of ABTA, membership number Y6420. We are obliged to maintain a high standard of service to you by ABTA’s Code of Conduct. We can also offer you ABTA’s scheme for the resolution of disputes which is approved by the Chartered Trading Standards Institute. If we can’t resolve your complaint, go to www.abta.com to use ABTA’s simple procedure. Further information on the Code and ABTA’s assistance in resolving disputes can be found on www.abta.com. You can also access the European Commission Online Dispute (ODR) Resolution platform at http://ec.europa.eu/consumers/odr/. This ODR platform is a means of registering your complaint with us; it will not determine how your complaint should be resolved.